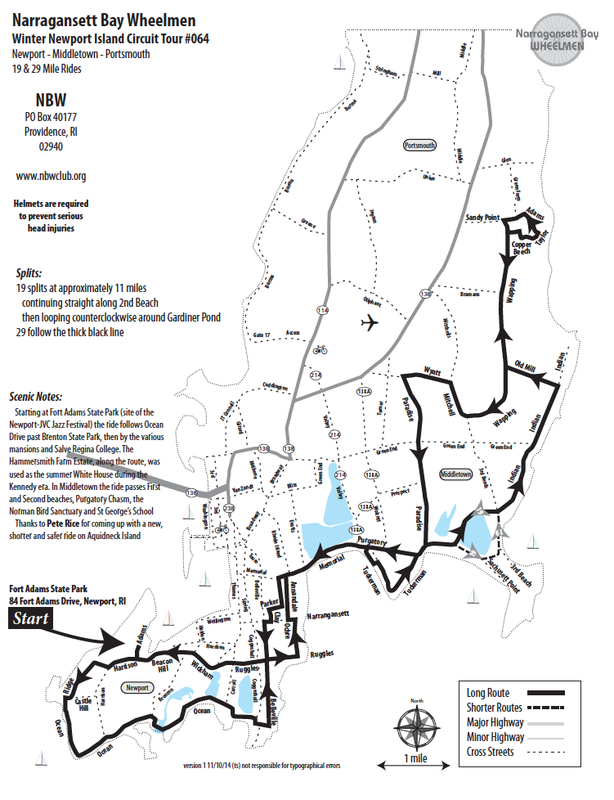 Newport R.I. Bike Ride on Sunday Oct. 25. This is a new route of an old favorite, updated by Pete Rice, which is designed to keep us off busy roads and is especially suited to late fall and early spring rides. The short ride travels the famous Ocean Drive with its majestic bay and ocean views, and then continues up Bellevue Avenue past the mansions. The longer ride heads further up the island past Middletown’s farmlands and beaches. Larry & Sue Rollins will lead a beginners/new riders group on the 18 mile loop. Next postRiding to Coffee in Rhode Island.